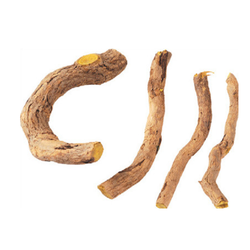 Part Used: Bark, Fruit, Root, Stem And Wood. Habitat: It is found in himalayan region, distributed from kashmir to uttarakhand. Common Name: Tree Turmeric, Indian Barberry, Ophthalmic Barberry. 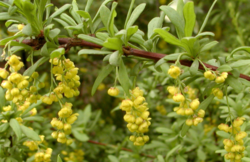 AayurMed cultivates, sources, supplies and export Berberis Spp. (Daru Haridra) for last 30 years across the globe. Our Berberis Spp. (Daru Haridra)is used for various medical and cosmatics purpose. We are amongst the most reputed names in the industry, offering Berberis Aristata Root. Barberry is a deciduous shrub, growing up to 4 meters in height. It has a gray-yellow, grooved stem and thorny branches. Leaves are borne in clusters of two to five, usually small and oval, toothed along the margins. Flowers are bright yellow, produced on long panicles from April to June.